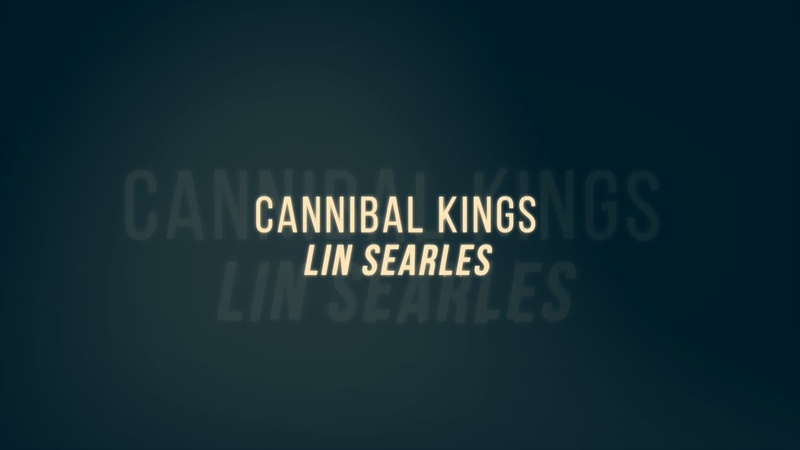 Today, when you order "Cannibal Kings by Lin Searles presented by Michael Ammar", you'll instantly be emailed a Penguin Magic gift certificate. You can spend it on anything you like at Penguin, just like cash. Just complete your order as normal, and within seconds you'll get an email with your gift certificate. 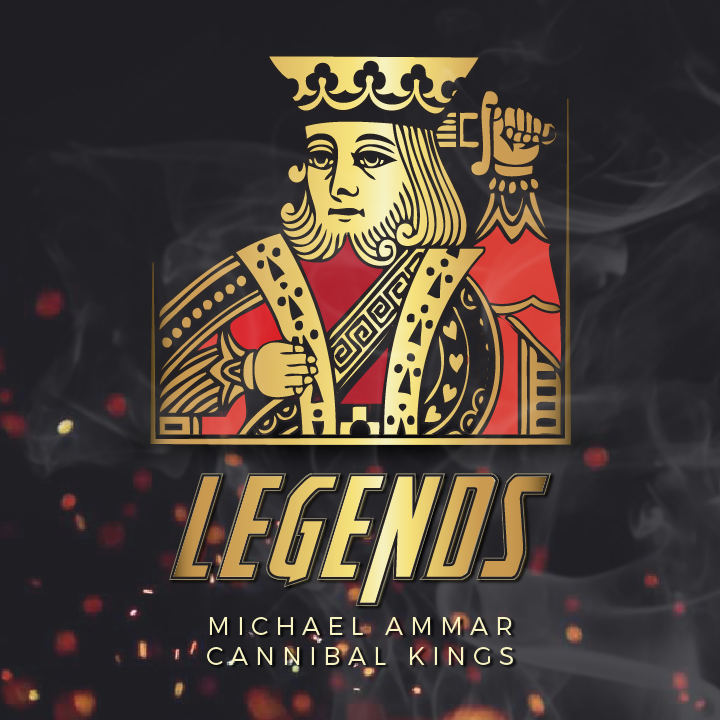 Cannibal Kings by Lin Searles presented by Michael Ammar (Instant Download) One of the best card tricks of all time, taught by one of the best teachers of all time. INTRO PRICE. START LEARNING INSTANTLY. Michael Ammar has taught thousands of magicians their first "professional" card tricks. His early teaching VHS videos are among the best-selling in the history of magic. His knowledge of magic tricks, theory and fundamentals is unsurpassed. And in all the years he's performed and taught magic, he's curated a list of his very favorite tricks. Cannibal Kings is in the top 10 of all time. This is a beautiful routine that you'll perform for the rest of your life. It's meaty, fooling, fun and massively entertaining for all ages. The title pretty much says it all. Michael Ammar probably the best teacher of magic on the planet. Always clearly explained and well paced teaching and this routine is no exception. Wether or not you like the specific patter, there are certainly good teaching moments in this. The video is ~14 minutes in length. There is both a liver performance and a studio performance. Explanation is shown both from the front and over the shoulder. However, that does mean that there is some sleight of hand involved. If you do a lot of card magic, this won’t be difficult. If you don’t, it’s nothing difficult to learn and it’s clearly taught. Definitely something to buy if you like what you see! I've learned many trick from Michael, on DVD, VHS and in person. He is a legend and is not only a great performer but also a great teacher. 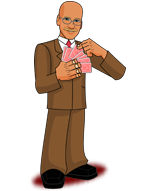 Cannibal Kings is a classic and he has streamlined to bring it to the ability of any car worker. The minimal sleights needed are well taught and fit the routine perfectly. This is not just another pick a card, oh look, I found it. And it's not just another four king card trick. This has a story, gives you a chance for byplay and silliness but still provides a strong effect. For the price you can't go wrong. Grab this and start entertaining. The highly entertaining Michael Ammar is at it again! This classic effect is not only deceptive, it's deceptively fun! The story really outshines the trick, but the trick is that good. You can even used a borrowed deck. Michael's teaching style has not changed one bit. His style is easy and straight forward. And just like his classic Easy to Master Card Miracles series, he shows you a spectator view, and an over the shoulder view, of how to accomplish the effect. 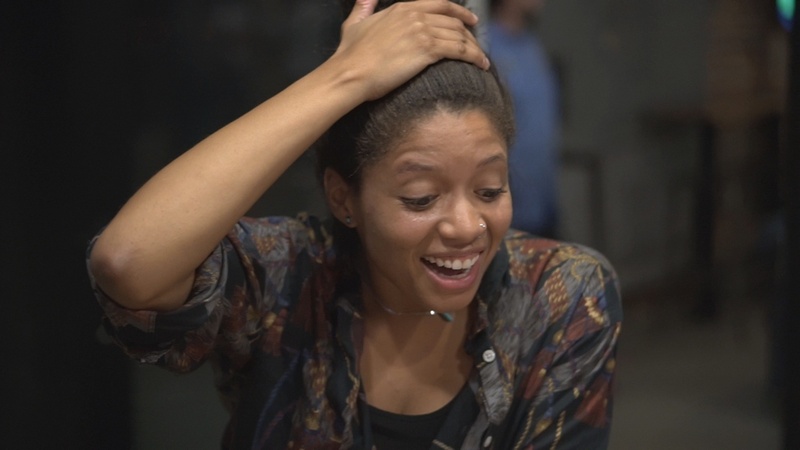 This one is fun to perform and you'll end clean and get over-the-top reactions. Once you show this, spectators will be coming to you later asking to see the cannibal card trick. You couldn't ask for a better effect. One thing of note: At the beginning of the training, Ammar mentions the Legend's Series. I'm hoping this is the first of many classic card effects, dusted off and polished, brought to us (again!) with such expert training from Michael Ammar. Michael is probably the best teacher in Magic. And he isn’t presenting a classic that every magician should know. You should have this, what else is there to say? Ok, my curiosity got the better of me and I bought the download and honestly, I'm rather disappointed. It seems like they took this section out of another collection of tricks to be sold separately (the "Legend Series", or something?). This is really for beginners, as he's reintroducing a classic (and it's a great classic, to be sure). It's the same instruction, just with different focuses on the sleights from “Easy to Master Card Miracles, Volume 1”. It's a higher resolution, and he adds a bit more detail on some of the sleights, even talking during the over-the-shoulder demonstration, but he left out a few pointers from the old version (not really anything major). The biggest departure from the old is that this download was missing "The REAL Secret" that the old DVD provided (about 30 seconds long; just in case, I won't discuss that part). Beginners just wanting a one-off: Get this and be introduced to one many of us have learned from. Have fun with this! Beginners wanting to make their magic a whole lot better: Get "Easy to Master Card Miracles - Volume 1". Trust, the "REAL Secrets" line sounds as hokey as all get-out, but it has a whole lot more to offer for you than if you were randomly collecting routines without a guarantee of helping you get better with your presentation and sleights. Find out why he's so highly regarded here! Basically, I paid $5 for a hi-res version of the old and for the assurance that Michael Ammar is still alive and well. It's great that he added a couple of pointers here and there, but not big enough to spend money on, really. I'm addressing this to anyone new to magic, because let's face it, anyone who has spent even a little time in this field knows who Michael Ammar is. But if you haven't heard of Michael Ammar, this is a pretty solid introduction to what he's all about. An excellent teacher who seemingly has only "A+" material to teach. To put it another way, if Ammar is teaching it, it's something you probably ought to know, including this Cannibal Kings classic. I like that this version does not require destroying any cards. For this price, it's a no brainer. As always, Ammar gives credits where credit is due. No gimmicks, a few slights that you ought to know already (or should learn if you are new to magic). The video is almost 14 minutes. As is usual with Ammar, after the teaching portion, he gives an over-the-shoulder kind of practice session that will be helpful in mastering the moves. 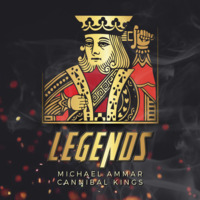 I already knew the basic Cannibal Kings but I knew Michael Ammar's handling would be worth the price. I was not disappointed, Michael had made that simple trick into a work of art. 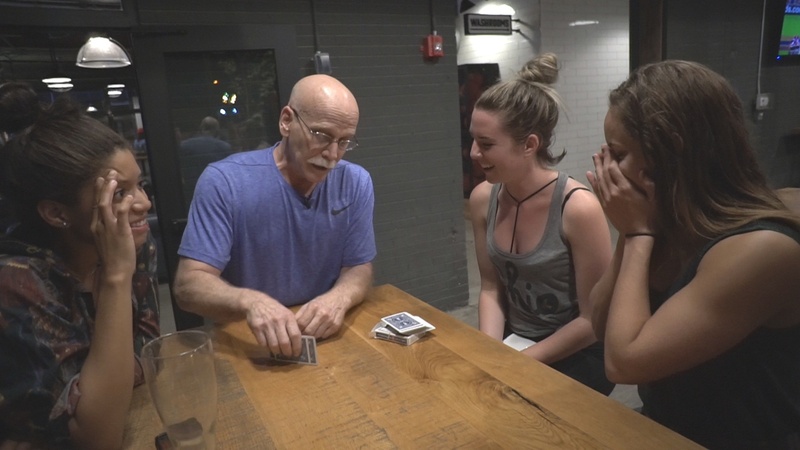 This is an entire routine using any deck of cards and easy movements of sleight of hand, and it can cause really powerful reactions on people. First of all, being taught a routine by someone iconic like Michael Ammar is not just a privilege but a cherished moment in time. From one of the best comes Cannibal Kings which is not just another 'card trick', it's a beautiful routine with a story, sound effects, a beginning, a middle and 'an end' which is the beautiful climax to this whole thing. What you see in the trailer is exactly what happens. The nice thing about this is that there is nothing extra to buy, no gimmicks to make, no cards are destroyed, just pure magic. Michael does an amazing job as usual in teaching this trick using front and over-the-shoulder camera shots, so you see and learn this from every angle. Yes, there are some moves to learn but with a little practice, you have a minor miracle in your hands. Now go buy this, learn it and start performing it - you will be glad you did. Thanks Michael!